Pt I in a series where I resurrect my aging hardware. Today, I'll be configuring an Airport Express (2008, A1264). If you are running a modern Mac OS X (anything above and including 10.7 Mountain Lion) installation, your Airport Utility application no longer has baked-in support from Apple for your older Airport Express base stations. This is great if you're Apple. 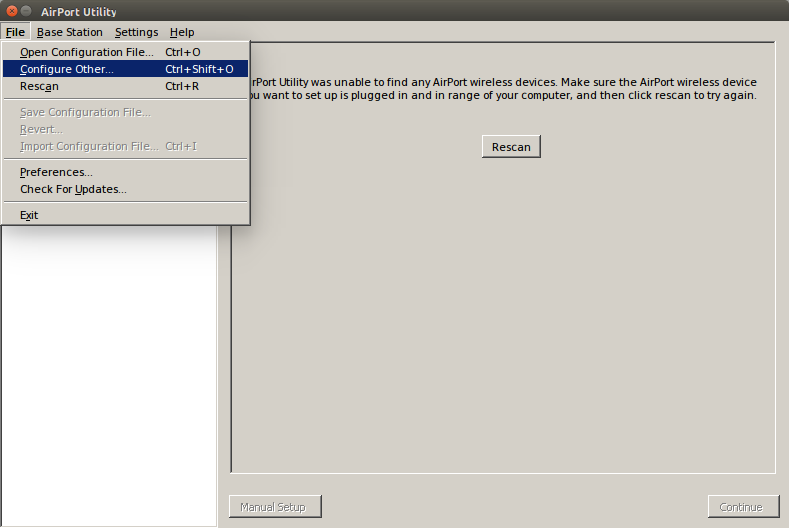 This is bad if you'd like to use AirTunes without buying redundant hardware. If you're running Linux, congratulations! 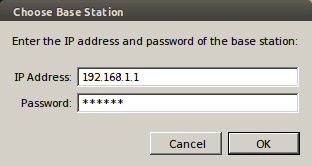 When it comes to configuring the base station, there won't be any surprises: there are no options for configuring your Airport Express with Linux. There isn't a web interface and no one has reverse engineered a solution. Apple has released an Airport Utility for Windows PCs, however. 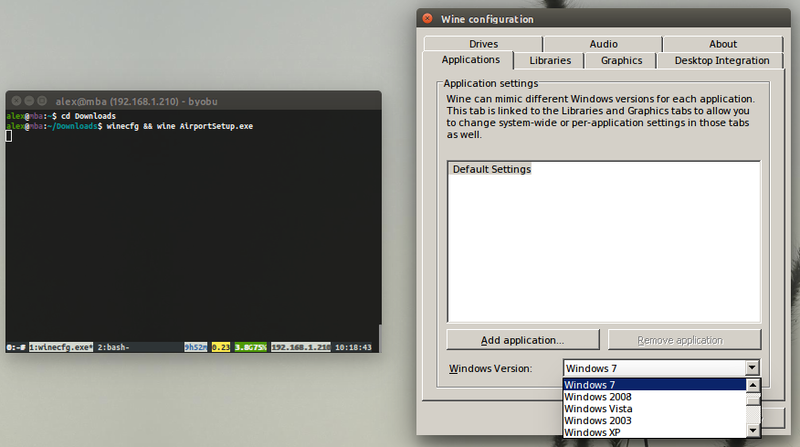 WINE (v1.6.2, 32bit) is sufficient to run the utility on both operating systems. Grab a copy of the Windows utility here. Install WINE with your package manager. If you're using OS X, I recommend Homebrew or MacPorts. You'll have to wait around for things to compile with the former option. If you're using Linux, grab the 32bit package from your package manager. Airport Utility requires Windows 7 or later, the default WINE configuration is set to Windows 2000 or something equally as ancient. Select Window 7 from the dropdown in the winecfg utility, hit Apply then Okay. Then follow the setup instructions on the screen. Once the installation has finished, hold down the reset button on your Airport Express and plug it into an outlet. Release the reset button after about 10 seconds. Connect to the new Airport wireless network with your network manager.